3pm: Filmpoem with Alastair Cook– Curation from our archive mixed with sneak peaks at new work for Filmpoem in Antwerp on June 14th this year, in partnership with Felix Poetry Festival. 4pm: Filmpoem Live with Luca Nasciuti. Luca explores and performs filmic soundscapes with poetry film, with live readings. 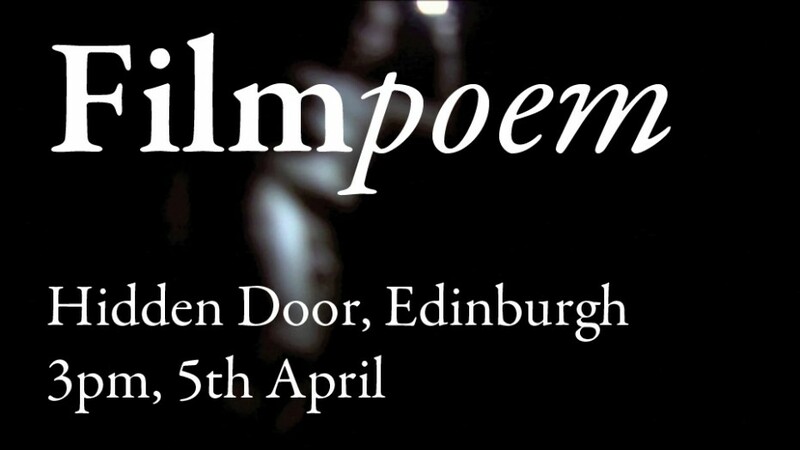 5pm: Filmpoem Poetry Society, an exclusive curation in partnership with The Poetry Society, introduced by Alastair Cook. From 6pm-midnight there will be looped screenings of our very favourite films.